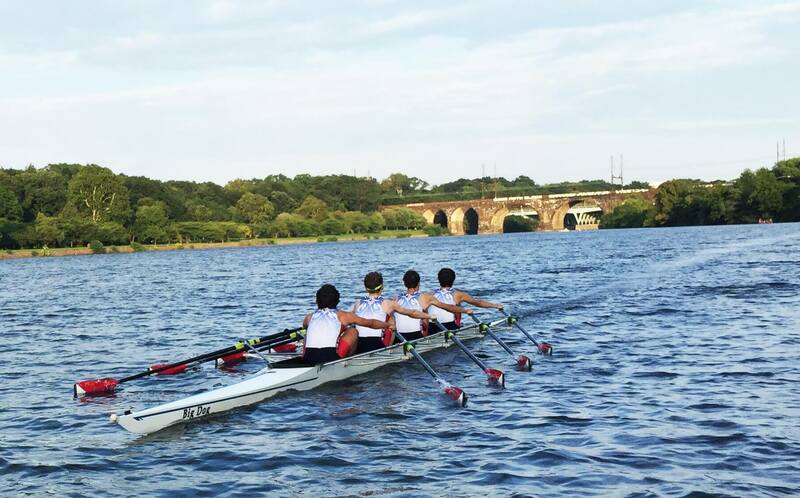 The mission of the Undine Barge Club’s U23 Summer Program is to identify and develop highly motivated scullers into nationally competitive athletes through this high intensity program. Our program is intended for serious collegiate/post collegiate athletes looking to gain racing experience and reach their full rowing potential, and will pursue excellence at local, national and international trial events. It is expected that those who enter the program compete at the Club Nationals and if available the Canadian Henley regatta. Current university students or recent alumni, in lightweight and open weight classes. Improvements to your technical skills by learning to scull and rowing in small boats. The technical improvements will carry over to your college programs and club rowing in the fall. There are usually 7 – 10 workouts per week scheduled, and U23 summer program members will be integrated into Undine’s full time racing squad practice schedule alongside senior athletes. From June to early August, the coached sessions are Monday, Tuesday, Thursday, and Friday mornings at 6AM, and Saturday mornings at 7AM. All other workouts are generally completed individually or in small self-organized groups (additional coached practices may be added at the discretion of the coaching staff and availability of the athletes). The morning workouts during the week generally last about 90 minutes, and we try to be off the water around 7:30am – 7:45am to accommodate those who need to get to work. A full locker room is available after morning practices. The Saturday morning workouts (on non-racing weekends) are longer, usually 2 – 2.5 hours, mostly technique and long steady-state rows. Undine U23 Summer Program athletes will be coached by Undine’s full time coaching staff, who have a history of success with both our full time and summer racing programs. U23 athletes will be incorporated into practice with Undine’s full time racing squad. Head Coach Joe Quaid will serve as the primary coach for the men, with Assistant Coach Mike Naughton. Click here for full bios of our coaching staff. Please note: there is a priority deadline of April 28 for application submission. Acceptances/decisions are planned to be sent starting the week of May 8. What to expect next: We will follow-up to notify you if you have been selected for the program. Invited athletes will become full members of Undine, and we will assist athletes in completing the steps required for Undine’s official membership application process. Transportation and lodging for out of town regattas (cost varies) *Disclaimer: any crews selected to represent the United States at the U23 World Championships in the past have received support from the club through donations and fundraising efforts. NOTE: Application to the Undine U23 Summer Program for 2019 does not guarantee admission to the program. You will be contacted by a coach if you have been selected. Admission to the program will be based on the quality and quantity of applicants, and selections will be made at the discretion of the coaching staff. Acceptances/decisions are planned to be sent starting the week of May 8. For questions and more information, please email coach Joe Quaid (quaidjp@msn.com).